Allan Charles Rocher was one of a select band of federal parliamentarians who served in both the Senate and the House of Representatives. Before election to the Senate in 1977 he was hardly known in Liberal Party circles, yet he was pre-selected ahead of some twenty-two candidates, and went on to win a Senate seat from the notoriously difficult third position on the party ticket, the first West Australian Liberal to do so at a normal half-Senate election. Early in 1981 Rocher resigned from the Senate in order to contest a by-election for the House of Representatives seat of Curtin. Elected on 21 February 1981 he held this Perth metropolitan seat until his defeat as an Independent at the federal election of 3 October 1998. Born at Deloraine, Tasmania, on 16 February 1936, Allan Rocher was the fourth son of Thomas Trinder Rocher and his wife Athanie Emily, née Webb. His father, a prisoner of war of the Japanese during World War II, had been a school teacher, subsistence dairy farmer, poultry farmer, woodcutter and S. P. bookmaker, mostly residing in northern Tasmania. After his education at Burnie High School, Allan Rocher lived for a brief period in Victoria before moving to Western Australia in 1960. On 21 June 1962 he married Marjorie Rees; they had a son and a daughter. In 1986 Rocher tragically lost his wife to cancer. For nearly two decades in his adopted state Rocher held important executive posts in large building and construction firms. At the age of twenty-three he was appointed state manager for A. V. Jennings Industries (Australia) Ltd, a post he held for seven years. He then served as chairman and managing director of the Trident group of companies from 1967 to 1978. A key figure in the construction industry, he was president of the Master Builders Association from 1973 to 1974. It was fitting that Allan Rocher's inaugural speech in the Senate, on 11 October 1978, took place during a debate on income tax legislation as this was one of the areas of policy which he continued to address throughout his twenty year parliamentary career. After reminding the Senate that inflation was 'the most insidious tax of all' Rocher commended the Fraser Government of the day for its progress in curbing inflation, particularly when compared to record levels of inflation under the previous Whitlam Labor administration. In his early days in the Senate Rocher was known as one of the 'dries' in the Liberal Party. Influenced by the writings of Friedrich von Hayek, this group upheld the sovereignty of the market, advocating small government, privatisation and deregulation. Rocher's first speech to the Senate gave a sketch of his ideological perspective with quotes from Hayek's Individualism and Economic Order. He subscribed to Hayek's belief that economic interventionism by governments inevitably led to an erosion of liberty, and quoted Hayek's statement: 'There is no hope for a return to a freer system, until the leaders of the movement against state control are prepared to first impose upon themselves that discipline of the competitive market, which they ask the masses to accept'. Rocher also warned that 'the problem for the survival of the market economy arises when the voters permit or encourage the expansion of government power to such an extent that private business can gain short-term profits through intervention into the competitive market by government officials'. Rocher described the Senate's powers of scrutiny and review of federal affairs as 'an important cog in the machinery of parliamentary government' and 'one of the bulwarks of liberty and of private and public wealth and well-being in this country'. He reminded the Senate that only a few years earlier the Australian electorate called on Malcolm Fraser and his government 'to restore economic sanity'. Despite the strife of the 1975 constitutional crisis, Rocher said that he remained 'unconcerned with the controversies surrounding the existence and acceptance of the constitutional powers of the Senate ... My acceptance of the Senate as a States house and as a genuine house of review is complete'. Even after his resignation from the Senate and election to the 'other place' Rocher continued to subscribe to the merits of bicameralism and federalism. In 2002 he declared that the Senate 'was a great legislative chamber'. During his short time in the Senate Rocher served on several committees, and years later he expressed his keenness for the committee work for which the Senate had gained a reputation. In December 1980 Rocher was appointed Deputy Government Whip in the Senate. Rocher heralded the 'new federalism' articulated by Prime Minister Malcolm Fraser, which emphasised the restoration of powers and responsibilities to state and local governments, including the re-instatement of state income tax powers. In the late 1970s he was confident that 'Australia can do no better than to learn from the example of Western Australia in determining where its future lies'. He argued that the first wave of progress in that state, beginning with the election of the Brand Coalition Government in 1959, was linked to the concept of 'total development' covering mineral, industrial and rural output. The second wave of development was associated with the 'energy oriented' programs, such as the North West Shelf gas project of the Sir Charles Court Coalition Government from 1974. Accordingly Rocher used his voice in the Senate to urge the lifting of export controls over many mineral products, to seek the extension of uranium mining, and to request that Western Australia be granted a better share of road funding. Postal and telecommunications services to remote areas were another concern that Rocher regularly addressed. During his time in the Senate he was also a vocal critic of the two-airline agreement, as he judged that the cosy arrangement between Ansett Airlines and the government's own Trans Australian Airline (TAA) had failed to effectively or efficiently satisfy the travel demands of Western Australians. In June 1981, when the agreement came up for renewal, Rocher, by then a member of the House of Representatives, was one of a number of Liberals who crossed the floor in support of unsuccessful amendments aimed at opening the market up to competition. In doing so, he achieved the curious distinction of crossing the floor before he had made his first speech in that chamber. In Rocher's opinion, the rigidity of the national industrial arbitration relations system gave undue influence to unions, and was a barrier to economic progress. He was perhaps ahead of his time in seeking its restructure with greater flexibility and less reliance on arbitration and industry awards. Voluntary freedom of association was one of Rocher's tenets (as well as voluntary voting). During 1979 he raised strong objection to the alleged use, by the Australian Union of Students, of compulsory tertiary student fees for political purposes. One of the first questions he asked in the Senate reflected upon the wisdom of the criteria employed for a $75 000 Australian Research Grant to Professor Don Aitkin of Macquarie University for a study of Australian political behaviour. Indeed Rocher once warned: 'it seems important for people to take the time to look in detail at the real world that exists outside sociology seminar rooms'. This was an outlook that governed his reservations about the 1986 Affirmative Action (Equal Employment Opportunity for Women) legislation. In this context Rocher spoke of the 'failure to appreciate the role of the market-place'. He cited the claim of economic historian, Thomas Sowell, 'that discrimination is in fact least where the market is freest'. Rocher was a diligent and well-read parliamentarian who was always active in cultivating his constituency links. Although he did not seek publicity, his political journey aroused controversy on some occasions. After only a short period in the Senate, Rocher decided to accept overtures to seek pre-selection for the House of Representatives seat of Curtin despite the nomination of fellow Liberal Senator Fred Chaney. Chaney, a young and highly-regarded cabinet member, had not been publicly decisive about his intentions to move to the House of Representatives. With the backing of Western Australian Premier, Sir Charles Court, and Senator Reg Withers and key party figures, including senator-elect Noel Crichton-Browne, Rocher secured a narrow preselection victory. The result was interpreted as a strategy to deny future leadership roles to Chaney, and there was considerable public criticism of the Liberal Party decision. Several months earlier Rocher had defended Crichton-Browne, who was then a Senate candidate, against accusations of impropriety made by Labor's Senator Peter Walsh. Rocher pointed out that Crichton-Browne had not been charged with any offence and declared: 'Western Australians believe in a fair go for men in public office, just as they believe in a fair go for any citizen'. As expected, Rocher won the Curtin by-election, but the Liberal vote dropped by nearly twelve per cent and the seat went to preferences for only the second time since 1949. Rocher blamed the critical comments of 'faceless editorial writers'. 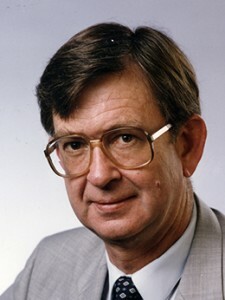 His electoral performance improved in 1983 and thereafter he had no difficulty in holding Curtin for the Liberal Party. Upon election to the House of Representatives Rocher was active in promoting an understanding about the housing and construction industry, and advocated home ownership as a highly desirable policy. He vehemently opposed his own party's retrospective taxation measures and continually challenged the taxation legislation of the Hawke and Keating Labor Governments, particularly Labor's decision to break its previous election commitment not to introduce a capital gains tax. The fringe benefits tax, negative gearing, foreign tax credits and ultimately the goods and services tax were all carefully examined by Rocher for their impact on the economy. He claimed that the Hawke Labor Government's Prices and Incomes Accord between big business and 'even bigger unions' dampened wealth creation and gave the Australian Council of Trade Unions (ACTU) undue political influence. Appointed as parliamentary secretary to the Leader of the Opposition, John Hewson, in April 1990, Rocher was Hewson's senior parliamentary secretary for several months during 1992; in fact Hewson asked Rocher to nominate his preferred choice of shadow portfolio, but Rocher requested to be his parliament secretary. He held the post of shadow minister for defence, science and personnel from August 1992 until April 1993. In 1995 he lost preselection to Ken Court, the son of former state Premier Sir Charles and brother of the incumbent state Premier Richard Court. By this time Rocher had fallen out with Senator Noel Crichton-Browne who had controversially been expelled from the Liberal Party but was still thought to be exercising influence in party circles. During the preselection battle, federal Liberal leader John Howard publicly supported Rocher, saying that he would be Speaker if the Coalition won power. Rocher had been a firm supporter of John Howard in his leadership tussles, and was labelled as Howard's head-counter. At the 1996 election Rocher contested Curtin as an Independent, and his reputation as a good parliamentarian, a strong preference flow from minor party candidates, and public support from none other than Fred Chaney, enabled him to retain the seat. As an Independent, he usually supported Howard's Coalition Government, but on several occasions voted against the government, claiming he was 'keeping the government on its toes', particularly in relation to taxation reform. In 1998 he accused the Australian Tax Office (ATO) of secretly writing laws through its rulings which were not subject to parliamentary scrutiny. Rocher sought unsuccessfully to make the ATO more accountable by introducing a private member's bill requiring its rulings and determinations to be subject to disallowance by Parliament. Rocher was eventually defeated by the endorsed Liberal Party candidate, Julie Bishop, in a keenly fought contest at the 1998 federal election. Following his electoral defeat Rocher was appointed by the Howard Government as Australia's Consul-General in Los Angeles. An appointment to the United States of America was a reminder of Rocher's 1985 assertion in the House of Representatives that the 'great tragedy, for those of us who regard our defences as of both paramount importance and inseparable from a workable alliance with the United States, is this socialist Government's capitulation to those who vociferously advocate the removal of all joint Australian-United States facilities on our soil'. Defence and international affairs were regularly on Rocher's agenda for, as he reminded parliamentarians in the same speech: 'It is the fundamental duty of the government of any nation to protect its population and territorial integrity ... All the welfare programs that can be dreamt up are worthless and will become meaningless if this country is not in a position to defend its territory and defend all Australians'. Rocher himself had completed national service and was a long standing member of the Citizen Military Forces. Another of Rocher's interests was his commitment to sport. A keen Australian rules footballer in his Tasmanian youth, Rocher pursued this interest in Western Australia through membership of the Subiaco and Claremont Football clubs. Other recreational pursuits included golf, swimming and regular tennis at the Royal King's Park and Reabold Tennis Club. Although modest about his athletic prowess, he was a competent sportsman. It was not surprising that early in his Senate career, given his interest in taxation matters, he pondered the merits of increasing the threshold for the deductibility of charity donations, from two dollars to fifty dollars, with the proviso that this status be extended to approved institutions active in the areas of arts, amateur sports and overseas aid. Allan Rocher had entered the Senate as an experienced businessman with senior executive experience. He also possessed a strong grounding in free market theory, and as such was a leading exponent of the views of those Liberals known as 'dries'. While the use of this label was dropped, these views became increasingly influential in the party. Ironically, while the electorate became more accepting of Rocher's ideological beliefs, he fell out with the West Australian branch of the party, and eventually lost his seat in Parliament. For Rocher there is a case to be made that he should have remained in the Senate where his attention to legislative detail and propensity for committee work would have been more fully utilised. For the greater part of his parliamentary career he held a safe seat in the House of Representatives, which his critics claimed should have been reserved for a high-profile front bencher. John Howard's mooted plan for Rocher to become Speaker may have witnessed a very different conclusion to his parliamentary career. Despite his move to the House of Representatives, Rocher remained strongly committed to bicameralism, observing in 1986 that the Senate had 'become the true legislative chamber in this country'. Rocher died at the age of eighty on 18 March 2016. Daily News (Perth), 23 Feb. 1981, p. 4; author interview with Allan Rocher, 29 Nov. 2002 [Interview]; 'Questionnaire' completed 10 Sept. 1982 for Parliament's Bicentenary Publications Project, NLA MS 8806; WA (Perth), 2 Feb. 1981, p. 1. CPD, 11 Oct. 1978, pp. 1227–31; Interview. CPD, 11 Oct. 1978, pp. 1229–30, 23 May 1979, p. 1982, 16 Oct. 1979, pp. 1345–6, 17 Oct. 1978, p. 1314; Sunday Independent (Perth), 28 Dec. 1980, p. 7; SMH, 23 April 1981, p. 20; David Barnett, John Howard: Prime Minister, Viking Penguin, Ringwood, Vic., 1997, pp. 153–4; Age (Melb. ), 5 June 1981, p. 9; House of Representatives, Votes and Proceedings, 3 June 1981, pp. 332–4. Australian (Syd. ), 3 Aug. 1985, p. 20; CPD, 15 Nov. 1979, p. 2399, 16 Nov. 1978, p. 2088, 11 April 1986, p. 2113. Mercury (Hob. ), 2 Feb.1981, p. 3; Daily News (Perth), 2 Feb.1981, p. 3; WA (Perth), 3 Feb. 1981, p. 6; CPD, 18 Sept. 1980, pp. 1353–4; Courier-Mail (Brisb. ), 23 Feb. 1981, p. 4; Age (Melb. ), 23 Feb. 1981, p. 17; Interview; Daily News (Perth), 23 Feb. 1981, p. 4. CPD (R), 13 Sept. 1983, pp. 699–702, 17 Nov. 1981, pp. 2865–7, 18 March 1982, pp. 1206–8; WA (Perth), 29 July 1983, p. 12; CPD (R), 27 Oct. 1982, p. 2666, 25 May 1983, pp. 961–3, 7 Sept. 1983, pp. 502–4, 21 Sept. 1987, p. 406, 21 Oct. 1987, pp. 1262–3, 8 May 1986, pp. 3453–4, 21 Sept. 1983, pp. 1059–62, 25 Feb. 1985, pp. 143–5, 17 Sept. 1987, pp. 267–70; AFR (Syd. ), 3 Jan. 1986, p. 9. Correspondence from Allan Rocher to author, 15 Sept. 2011; WA (Perth), 10 March 1983, p. 9; SMH, 8 Aug. 1995, p. 2; Age (Melb. ), 7 Aug. 1995, p. 5; Barnett, John Howard, p. 672; Campbell Sharman & Narelle Miragliotta in Marian Simms and John Warhurst (eds), Howard's Agenda: The 1998 Australian Election, UQP, St Lucia, Qld, 2000, p. 131; CT, 25 March 1998, p. 2; CPD (R), 22 June 1998, p. 4995. CPD (R), 19 April 1985, pp. 1505–6, 8 May 1986, p. 3455; Interview; CPD, 6 March 1979, p. 487. This biography was first published in The Biographical Dictionary of the Australian Senate, Vol. 4, 1983-2002, Department of the Senate, Canberra, 2017, pp. 507-511.